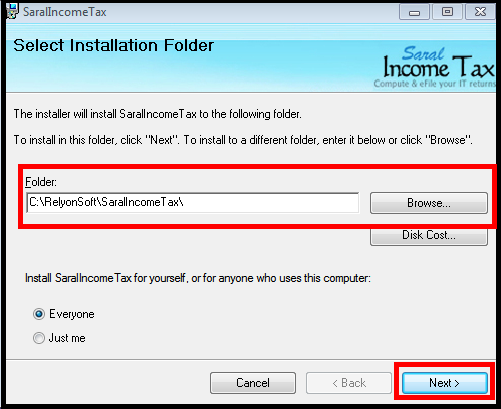 In this post, we will see how to install Saral IncomeTax / Saral TaxOffice on your desktop. 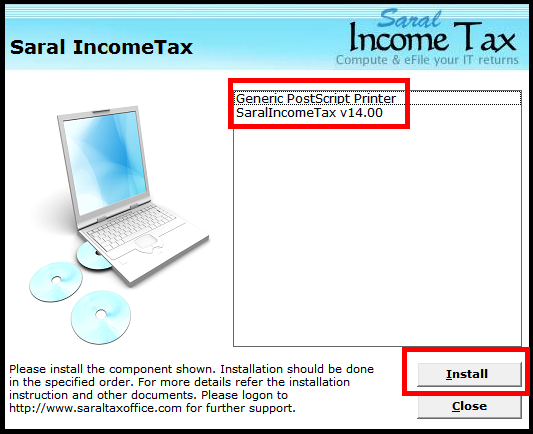 Step 1: Go to https://www.saraltaxoffice.com and click on the pricing menu. Scroll down the page and click on Free Trial. Step 2: Here, go to Download Software. An entry form will be displayed. 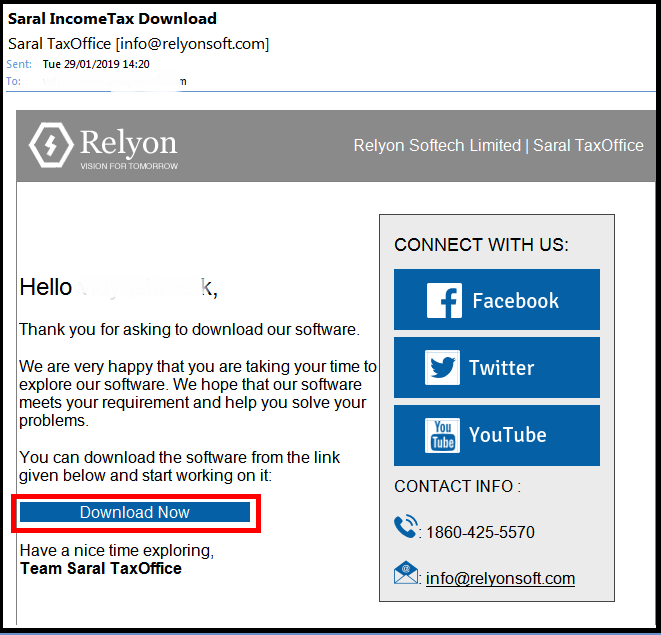 Enter the details and select the required software Saral TaxOffice/Saral IncomeTax from the drop down & submit. Please note: The setup link will be sent to the mail id provided in the form. Hence, provide proper mail id to receive the mail. Step 3: Go to your mail inbox (mail id given in the form) and click on the link received in the mail. Download the software setup file to the required path in your system. Step 2: In the pop-up window, components to be installed will be displayed. Install all the components in the ascending order. Step 3: Next, follow the screens. 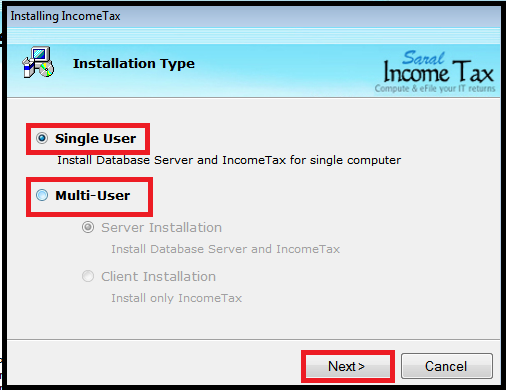 You will be asked for the type of license (Single/Multi-User). Select the relevant type and continue. 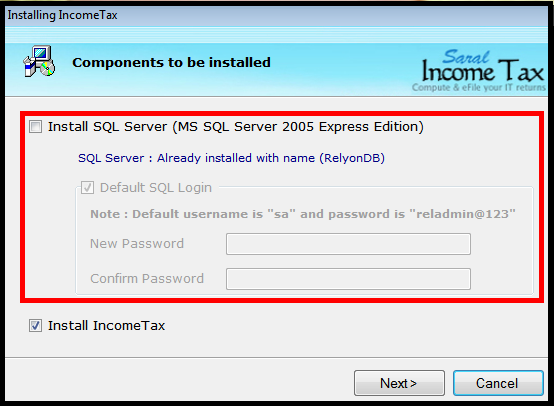 Step 4: Now, if the SQL server is to be installed, enable the option and provide the password for the database. By default, “sa” is the username and reladmin@123 is the password. 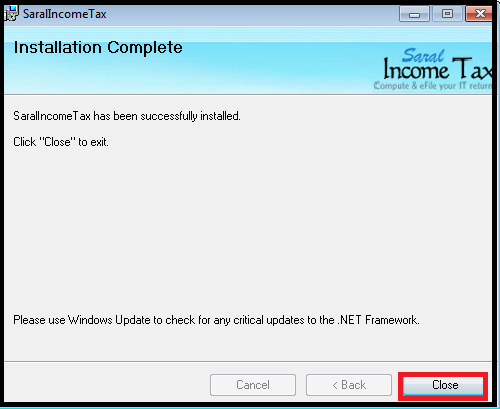 If not required, continue is software installation. 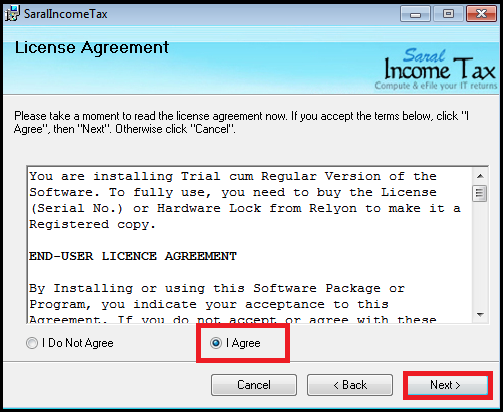 Step 5: Follow the screen till you reach End User License Agreement Screen. Here, Select on I Agree and proceed. 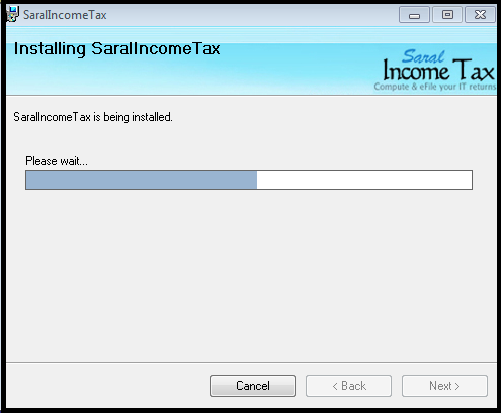 Step 7: Now the software installation will begin. On successful installation, the message will be displayed. Click on Close to finish the process. This ends the process. Also, let us know your opinion by commenting below.